Deep in the heart of the South Tyrolean Dolomite Mountains sits the stunning ski area of Alta Badia. Blanketed by snow and surrounded by nature, Alta Badia combines picturesque beauty with excellent weather and a wealth of activities to excite visitors of all ages. Throughout the year, Alta Badia's relatively small population grows to accommodate thousands of guests from around the world, welcoming them into a community that is rich in both culture and excitement. What's more, the vibrancy of the area ensures that investments are highly sought after, making it the perfect location for an investor. Everyone who visits Alta Badia becomes part of the community, and as such, enjoys a unique mix of culture and history alongside their snowsports activities. At Alta Badia, guests can explore 130 kilometres of picturesque slopes - spanning from Grödnerjoch to the Campolongo Pass. 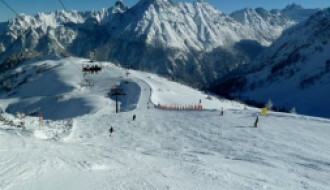 The slopes cater to all abilities, from beginners to professionals, with eight kilometres of difficult, 52km of intermediate and 70km of easy terrain. Moving between slopes is easy, as the resort has an impressive 53 lifts and gondolas taking you seamlessly from impressive elevations of 1,324 m to 2,550 m. This contributes to the ease of doing the famous Sella Ronda ski tour around the Dolimites Sella massif – which takes you around neighbouring resorts Arabba, Val Fressa, Corvara and Val Gardena. 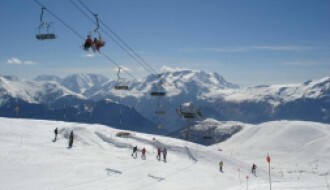 The resort is perfect for families, providing them with the opportunity to visit fun parks and take part in skiing lessons. 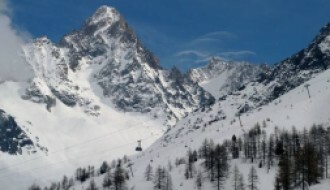 In addition, guests can partake in ice skating, winter hikes, sledging and even horseriding. Winter season begins in mid-December and stretches to mid-April, but the resort is open year round and there always plenty of things to do in Alta Badia. In the summer months, guests can get a taste for the outdoors while visiting one of many hiking or mountain biking trails – such as the Alta Via 1 (Dolomite High Route 1). In addition, visitors can try out indoor rock climbing, visit the spa and swimming pool, or take a swing on the golf course, which at 1,700 metres above sea level, is among the highest in Europe. Alta Badia has a rich and diverse culture steeped in a history of arts and mountain farming and even has its own language (Ladin). Those wishing to learn more about Alta Badia's history are encouraged to visit Museum Ladin Ciastel de Tor museum. Locals are always friendly and happy to discuss Alta Badia and its history with guests, maybe even teaching them some traditional Ladin! Ladin people are also known for their excellent taste in food and Alta Badia resort is no exception to this. Guests can choose from 108 different eateries which specialise in authentic Italian cuisine and fine dining, including three restaurants with Michelin star status. As of 2017, the restaurants have a total of six Michelin stars between them! Alta Badia is an area of continuous development and each year has something new to offer. Those considering buying a property in Alta Badia can choose from a wide range of exciting, luxury properties including apartments, chalets and even renovated barns. The resort regularly invests in and updates the facilities available to its guests. So far, in the 2018/19 season, Alta Badia have introduced two new chair lifts and constructed a new underbridge, with each development working to enhance the guest's experience. Each year, new shops, cafes and restaurants open to further excite the tastebuds of guests and locals alike. During the winter season, Alta Badia offers guests the opportunity to the perfect blend of both sunshine and snow. Alta Badia's historic snow report for the 2018 season showed a total snowfall of 145cm over 10 days. The average base depth was 24cm with a high of 60cm, while the average summit depth was 46cm with a high of 110cm. Alta Badia's natural snowfall is enhanced by the resort's whopping 391 snow cannons. During the summer season, Alta Bedia enjoys a warm, Mediterranean climate and even more sunshine - after all the region experiences, on average, 300 sunny days a year! For up-to-date snow and weather reports, take a look at our Alta Badia resort guide here. 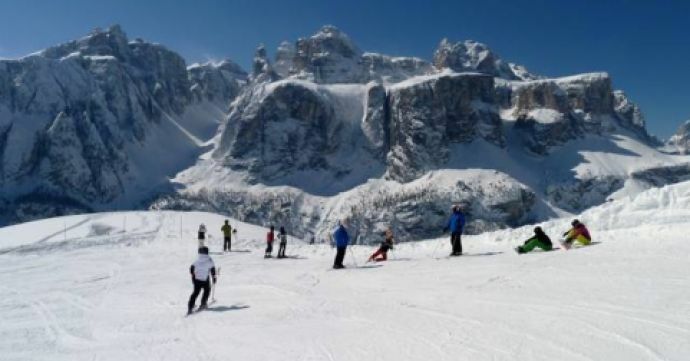 Alta Badia is a highly accessible resort due to its close proximity with numerous major European transport routes. As a result, guests can travel by car, bus, train or plane. The nearest train station, Brunico, is just 37km away, while you have a choice of the Venice or Innsbruck airport to travel into, and a short 2-3 hour drive through the beautiful mountains and towns to the Alta Badia area. The resort can also assist guests in organising transfers from stations to Alta Badia itself. This resort guide is by no means comprehensive and only begins to touch upon the excitement on offer in this beautiful alpine wonderland. It is truly a place you have to see to believe!